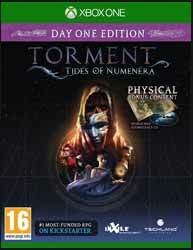 Torment: Tides of Numenera is a single-player role-playing game which continues the thematic legacy of the critically acclaimed Planescape: Torment by having to face complex and nuanced morality decisions, carefully contemplating deep and reactive choices with consequences that echo throughout the game all the while immersed into a new and strange vision taken from by renowned designer and writer Monte Cook's new tabletop role-playing game, Numenera. 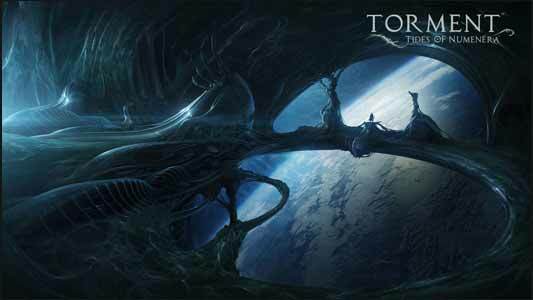 In Torment: Tides of Numenera, players must decide for themselves the answer to the eternal question, what does one life matter? Numenera's Ninth World is a fantastic vision of a world in which massive civilizations continue to rise and fall with only cities, monuments, and artifacts left behind to serve as reminders of their past existence. These reminders have become part of the accumulated detritus of eons and now this assortment of ancient power, called the numenera, is there for the taking. One of these humans has discovered a way to harness the numenera to grow strong, to cheat death, to skip across the face of centuries in a succession of bodies. But he discovers an unexpected side effect: You. 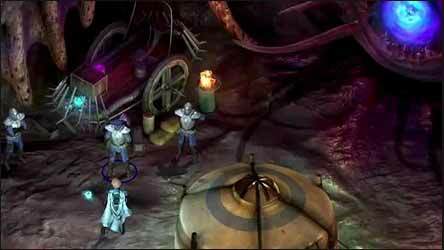 Torment: Tides Of Numenera is a turn based story telling RPG which is controlled from a birds eye view perspective. 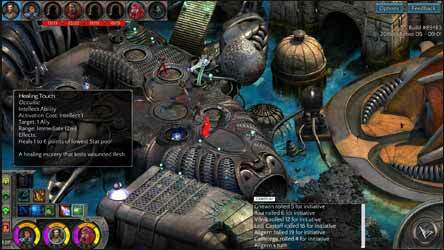 The story telling aspect of the game is very creative and often requires you to use with your imagination, which will appeal to a lot of gamers. Also, most of the storytelling requires you to choose your answer by multiple choice and can vary the outcome of the game similar in a similar way as Mass Effect and the Telltale Games series. The game also hosts a very atmospheric soundtrack which really adds to the feeling of the game alongside the in depth storytelling. The game customisation is huge and I spent at least half an hour creating my character. To start with there are three different types to choose from. The first is Glaive, which is a melee type character; Jack, a rouge type character; and finally Nano, which is a magic based character. 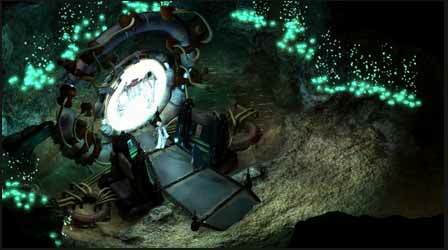 after this you move onto choosing your effort pool which are used throughout the game to complete tasks. The three types are might, speed and intellect. 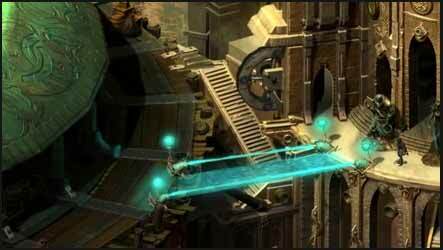 Next is your abilities which effect certain aspect of play such as increasing critical chance or taunting opponents. Then there is exploration skills, such as running to avoid danger or endurance which lets you tank your way though things. Next up is weapon skills which include whether you want to be range or melee based and the power of the weapon: light, medium or heavy. And finally there's the descriptor skills which add a lot of variety to the end of the build such as increasing your might and endurance but lowering your intellect. There is a lot more elements too which can lead to some really complex and interesting builds. The combat system is turn based and consists of a two-part turn for each character which starts with an initial move period and then you can either attack or move again. This consists of three different types of attack: melee, range or magic - each using the three types of efforts available. When attacking you can use more effort to increase the power and chance of hitting. There are also many different types of armor and weapons you can use to improve your stats. All in all this game is one worth getting, especially if you enjoy a good story with customisable attributes to it which can also effect the story. It also has an impressive soundtrack.